Happy Wednesday, everyone! Today I thought it would be fun to share where we are in our wedding planning process! It’s hard to believe Nick and I have been engaged for almost four months now. We have gotten some stuff done, but we still have a lot to do before the big day! We’ve been engaged about four months now and it was so amazing to just spend the first 3 months just being engaged. It was nice to get engaged over the summer because we were able to spend the next few weeks celebrating with friends and family. That’s not to say it also didn’t add a little stress into the mix, but for the most part it was spent taking in the moment with everyone we love! 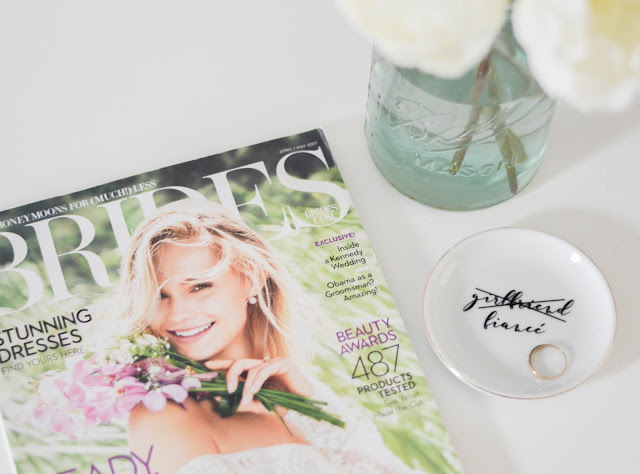 In the weeks since we got engaged, I did all of the girly things with my friends… My beautiful friend Aimee gifted me my first wedding magazine, I also felt all of the love from my family and friends who gifted me some very cute bridal swag! I'm waiting to get The Mrs. Box for my ring and Nick's future ring, because I wanted it to go with our wedding colors! I've been playing for hours on Pinterest glancing at wedding details; and daydreaming about what is to come. We’ve picked our bridesmaids and groomsmen! That part was difficult for me as I really wasn’t sure if I truly needed a wedding party. After much thought and consideration it would be amazing to have some wonderful women standing by my side. But it is nice to cross it off of our list haha. I plan on asking my bridesmaids after the New Year, so I’ll be sure to share how I decided to ask my bridesmaids in a Wedding Wednesday post. How Nick plans on asking his groomsmen well also be on that post so stay tuned! We have (almost) finalized the guest list! We came up with a preliminary list of people and divided them between our family, our friends, and our family friends. I anticipated this being a difficult process, but it was surprisingly easier than I thought. We’ve almost settled on a final number of guests and that’s a huge relief. I do have to say we are trying extremely hard to keep our wedding small, as that is very important to me. Photographer! Our dear friend and his wife are amazing photographers in Michigan and I couldn’t imagine anyone shooting our day than them. Again, WeddingWire and their amazing vendor list, it was just the perfect marriage (ha). I was torn because I wanted them to be able to enjoy our day as guests. Really, we couldn’t be more excited for them to shoot both; our big day and our engagement photos. We NEED a venue! I will be 100% honest and say (so far) this has been the most stressful part of wedding planning. I feel like everything else cant fall into place without this. Together we made a list of venues that I found on WeddingWire and these were on my “top venues” list. We have a very strong esthetic that we are trying to combine; but WeddingWire made it really made it easy to narrow it down to two venues. 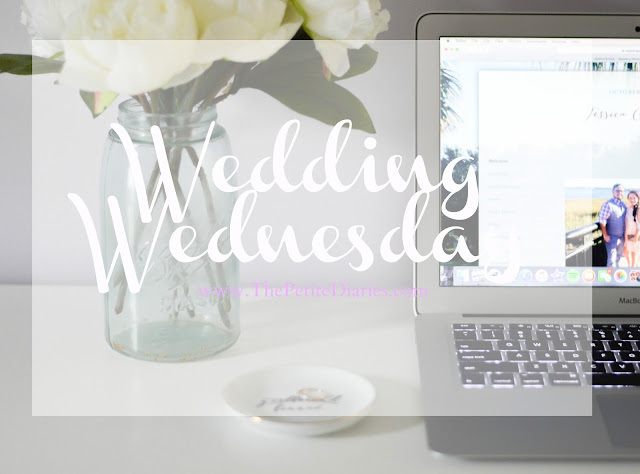 I’ll share a bit more in another Wedding Wednesday post about what to ask, etc. when looking for a venue! We NEED music! I’m leaving all the music details up to the fiancé Nick, because he is so musically talented that I know he will pick out the best music set ever! I plan on using the WeddingWire vendor search to find the perfect person. Registering! Since we will have lived together for two years by the time we get married, there’s not much that we actually “need” but we are both excited to register for more updated pieces for our home. I plan on doing a more detailed post on this at a later date. WeddingWire has an amazing group of vendors that they work with and I'm just super excited for this! Planning…. well, everything! There is a laundry list of things that need to be researched, vendors that need to be booked, and tasks that need to be handled! 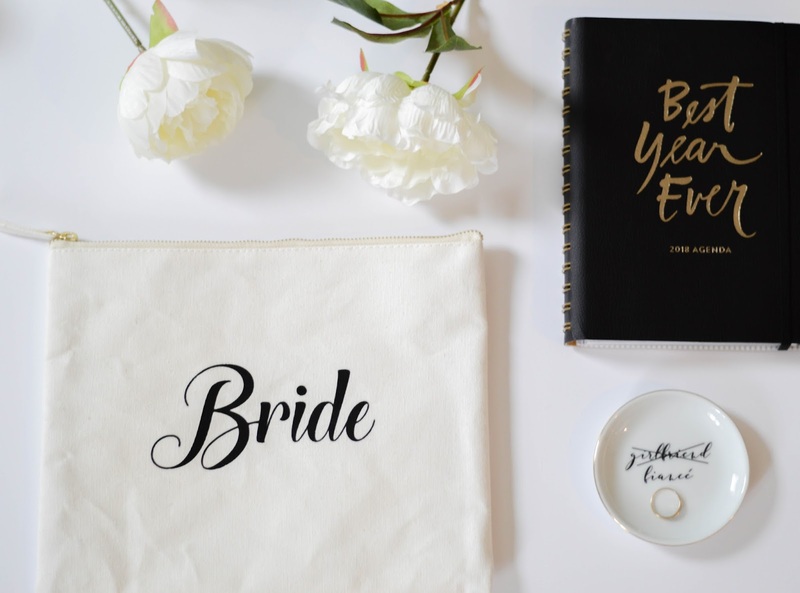 WeddingWire has a planner and it has truly been a lifesaver! There are so many details that go into planning a wedding that you don’t think about until you’re a bride. Having this guide has helped tremendously. I would love a tangible wedding planner as well if you have any suggestions send them my way! This post is in partnership with WeddingWire. All thoughts, writing & styling are my own. Thanks lady I/We are really trying to enjoy every moment!! I love all of what you've gotten done! You're killing it with your planning. And that "fiance" tray is perfect! Ha thanks girl! I'm not sure if we've gotten a ton done or not?! So exciting you've picked a date! Now the wedding planning fun begins! Right?! That may have been the hardest part! Oh I remember wedding planning! It's great you've found a site that makes it all easy for you! :) It's been years (8 years!) since we got married so I never used anything like that! Was it just as stressful 8 years ago?! Gosh I feel like weddings have so blown up and now are this huge nightmare! Thank goodness I'm trying to be as chill as possible! Great post! Congrats on the engagement. Planning a wedding can be stressful, but also so fun! I'm so scared to wedding plan! EEEPPPP thanks but really looking forward to the adventure! Congratulations on the engagement! Enjoy the planning! I'm going to try my hardest to enjoy all the little moments and really not become a bridezilla haha! How fun! Planning a wedding just seems so amazing. Stressful yes, but I love the progress your making. Congrats. Girl if only I was moving more along! With the holidays I'm kinda just trying to enjoy those and not plan too much!! Wedding planning is a lot of fun but can definitely be stressful. My best advice is lots of champagne and not to sweat the small stuff! Plus... Michigan is beautiful, any venue you pick will be fantastic! I LOVE the idea of a lot of champagne!! hahaha and Michigan thanks love we def are checking out some venues there!! CAN'T wait! !